Keep the KFC coming please. 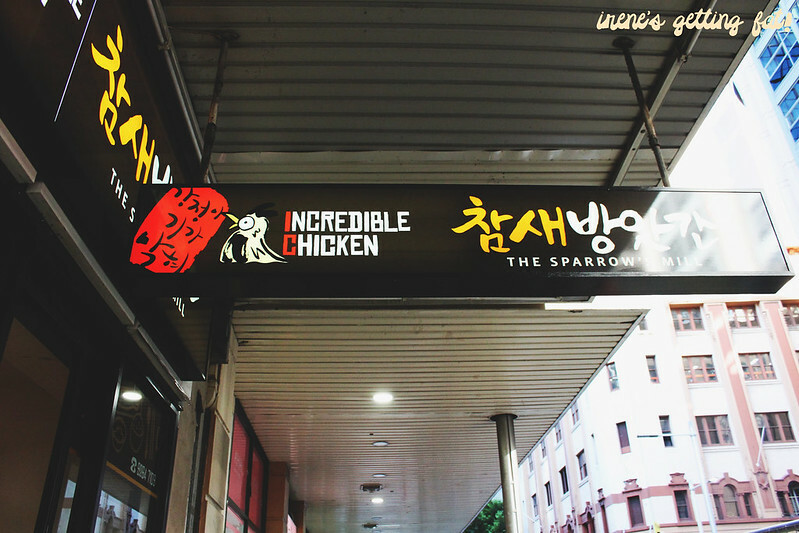 I have no objection about the occurrence of multiple Korean fried chicken joints in Sydney whatsoever. So when I heard about The Sparrow's Mill signing the attendance list, my heart leaped with joy. The restaurant is apparently a sister restaurant of Red Pepper in Strathfield, and since I have heard so many praises about the older sister, I was expecting the younger to follow her footsteps. 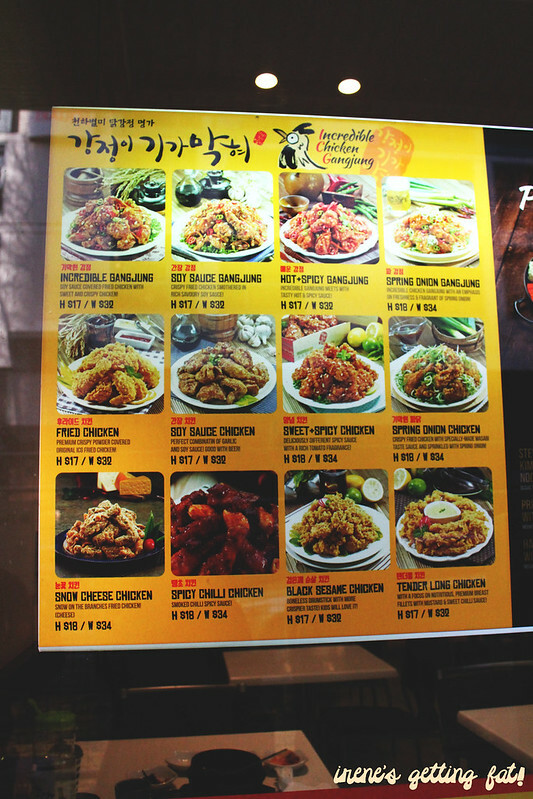 There is a big poster of fried chicken galore, from the plain ones to the one with spring onion crown to the ones cloaked with various kinds of sauce. The interior is simple and unpretentious; simple white tables with black couches and an open kitchen. The TVs were airing k-pop music shows and videos, which I found very distracting (in a good way). The menu is wide-ranging, they do not only offer you the dreams of glorious KFC. I would love to try more of the dishes, but we were there for the birds. 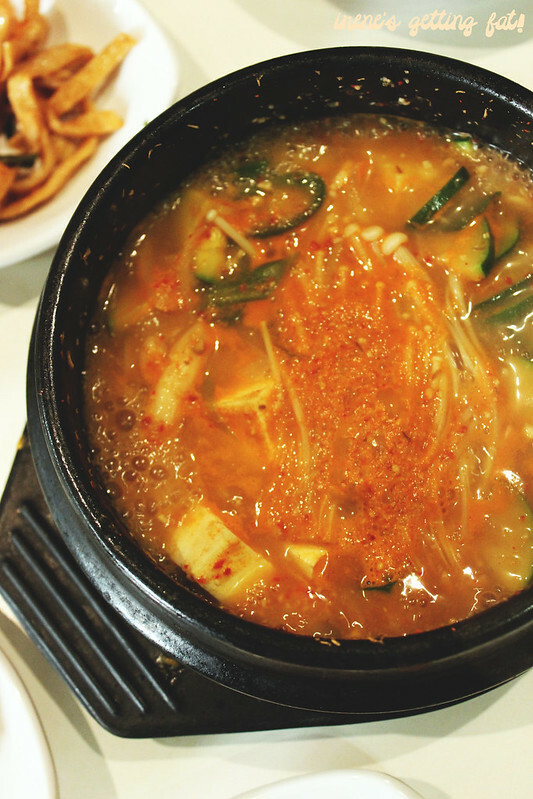 We did spare some space for bubbling soy paste soup (doenjang jjigae), which had generous amount of zucchini, tofu, assorted mushrooms, and a few pipis. Perfect with the rice, and probably some kimchi too. We shared two fried chicken dishes, ordering the half portion of both. 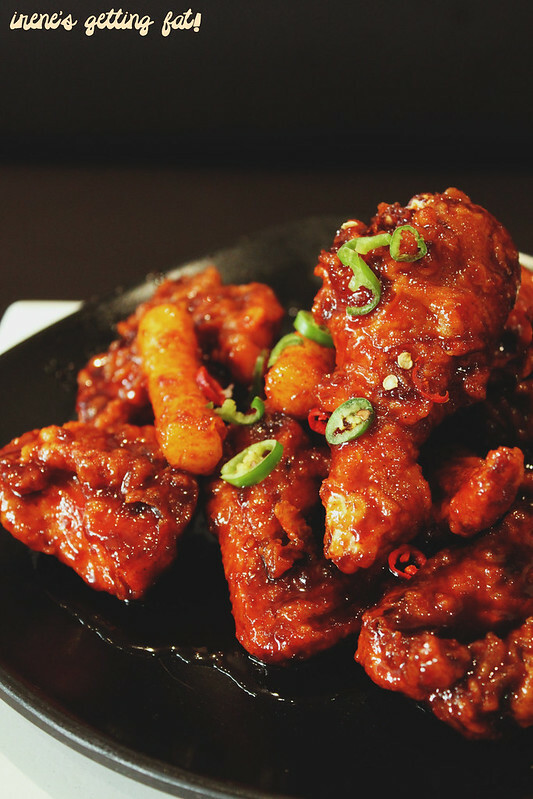 First up was the hot & spicy gangjung chicken, which was fiery for all of your senses. We could even smell the wafting chilli aroma when the glowing crimson pieces of chicken arrived. And yes, those were chopped chilli on top. I certainly wasn't expecting it to be that spicy, but being a chilli big fan, it was a really ice surprise for me. The sticky red sauce had some sweet hints on the first bite, but in the end, it was the burning sensation that overtook my tastebuds. The chicken and the jacket themselves were absolutely great though, juicy and tender meat with crunchy, but not-too-thick, jacket. 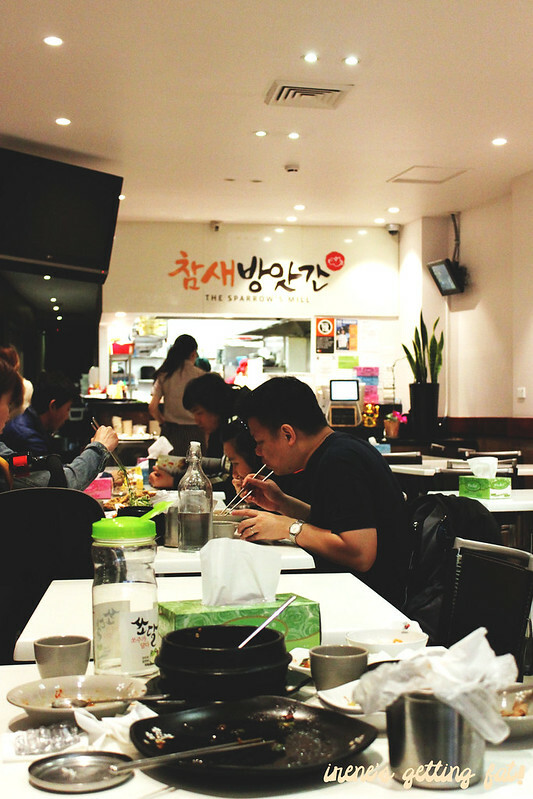 The ddeok (rice cakes) were prized company. I would love to have more of the chewy logs. 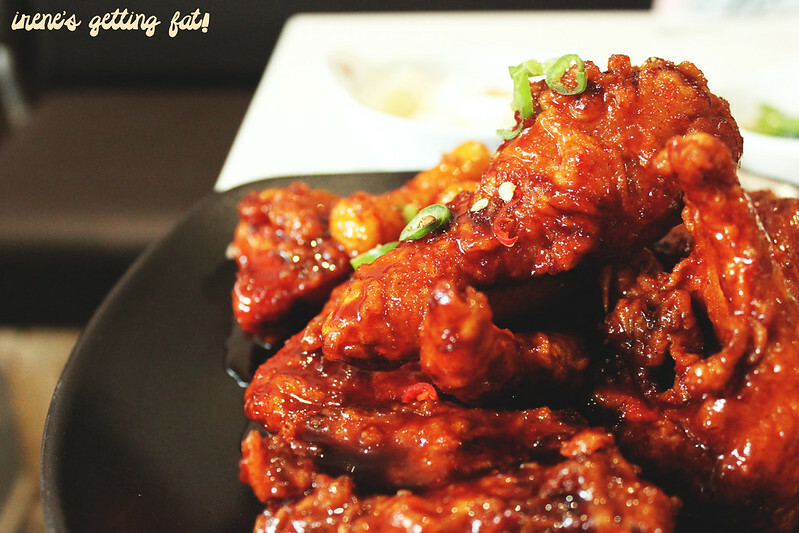 Second up was the spring onion gangjung chicken. 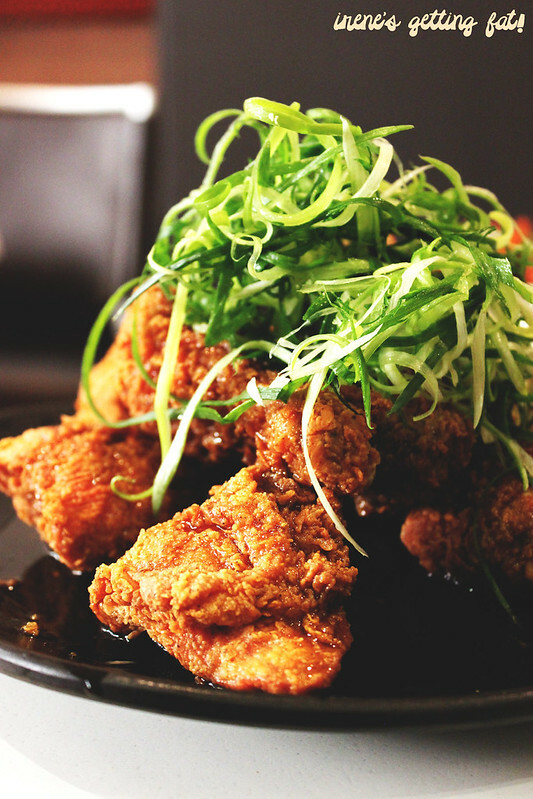 The chicken pieces dazzled with their golden colour and dark brown soy-wasabi sauce, capped with a small mountain of shredded spring onion. This is why I don't even touch Colonel Sanders' chicken anymore. Words can't describe my love to this chicken. Everything was wonderful, everything was how it was supposed to be. 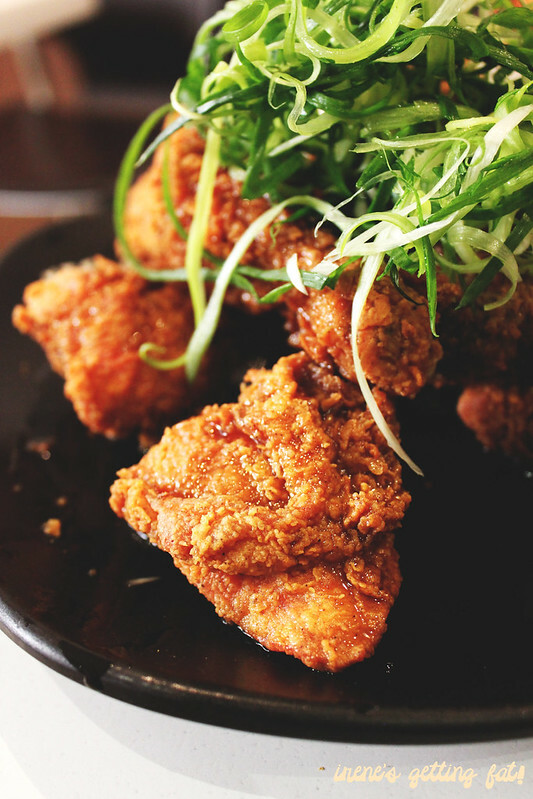 From the ear-shattering crispy skin to juicy, not at all dry, meat, to the tasty watery sauce. My favourite cut? The drumstick, of course. 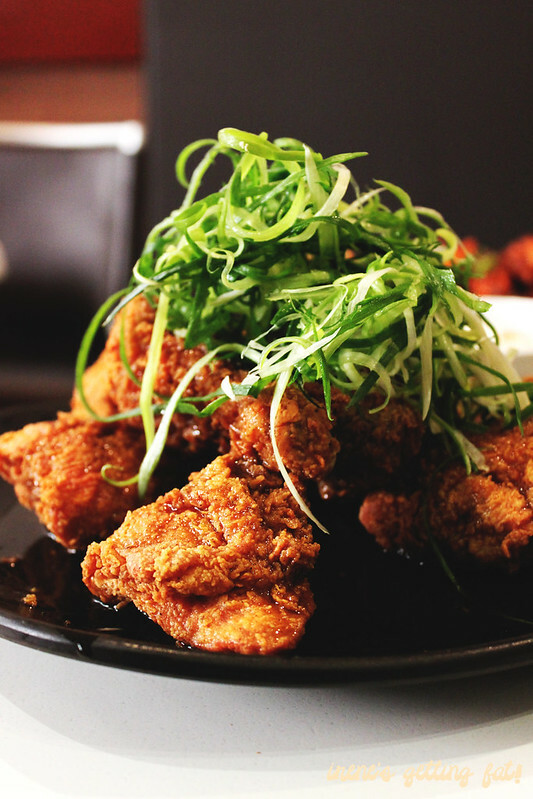 If you can only have one type of fried chicken dish here, this should be it. It was almost impossible for me not to compare this place to my favourite joint for KFC, NaruOne. Finally I made up my mind that NaruOne has better spring onion fried chicken, while Sparrow's Mill's hot and spicy chicken excels that of NaruOne's. If you have other opinion, please let me know. Next time, I'll have the cheese fried chicken on the table. 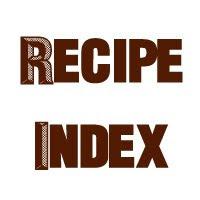 Really good fried chicken with wide range of options, quick and efficient service, ambiance is unpretentious and quite cosy, price is reasonable. Oh snap. I had no idea was Red Pepper's sister restaurant. Guess I gotta pay it a visit since I love sisters. Heh. Especially if both sisters are equally pretty, yeah? Haha. The spring onion fried chicken here is dope!!! Love their wasabi soy better compared to the other close by KFC place lol I haven't had the colonel's fried chicken in a long time too. i loved the wasabi soy here, must return soon! Let's make a return together! So many posts and pics on my IG of their delicious chicken. I really need to get myself to Sparrows Mill. You should! At least try the spring onion chicken when you do! went to KFC last night :) heheh... this looks great. Which KFC tho? Hahaha. This is amazing, Bob!